Book Blurbs - how do you like yours? A Classic is Being Destroyed As We Speak! When did cliche become a naughty word? ConJour 2011 - Richard Morgan Announced! Just For Fun - Guess the Book! Who Loves Horrendous Book Covers? Gollancz brings us BIG news! 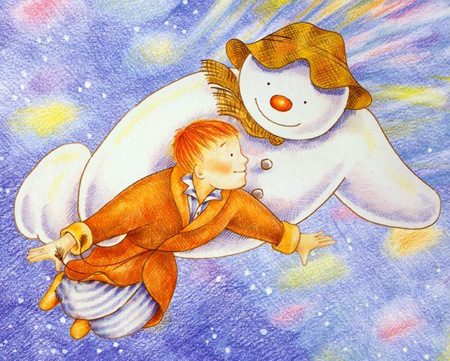 The Snowman tells the story of Harry Hole as he becomes embroiled in a sinister serial killer case. Norway is not known for its serial killers, and Hole has a lot to prove to the rest of the police department to ensure that they believe they are dealing with multiple murders. Assisted by mysterious new detective Katrine, Hole can feel the tension ramping up as he tries to solve the case before the snows come - and The Snowman kills again. 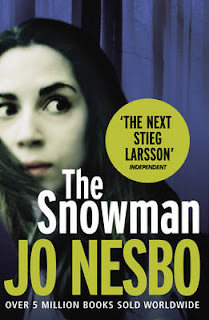 Well, after reading the three books that composed The Millennium trilogy, I was looking to continue my Scandinavian crime reading stint and decided to pick up the new Big Thing in the form of The Snowman by Jo Nesbo. It was similar, but only to the extent that both works deal with serial killers. On the plus side, The Snowman is tauter and far less bloated. The story whips along with little clues and red herrings littering the work and leading you towards the inevitable conclusion. In fact, this novel might be worth a re-read - just to check all the details that form part of the clues. On the negative side, we have a far less charismatic hero in the form of Harry Hole - we're back to the usual stereotype of alcoholic maverick detective, who is determined to solve the case to the point of obsession and losing all of his friends and family. "The snow in the garden reflected enough light for him to make out the snowman down below [...] At that moment the moon slid from behind a cloud. The black row of teeth came into view. And the eyes. [...] The pebble-eyes were gleaming. And they were not staring into the house. They were looking up. Up here." *shudders* Other people might find sections like that a little ridiculous, but for me it brought out all those nightmares you have as a child. Adding in real passages of terror, where the unseen killer commits his murders, just increases the fear factor for me. I had to have the light on last night after reading this into the wee small hours. And I had to keep checking to convince myself that the snow hadn't started to fall. It was a fairly disposable read, however. Having mentioned a re-read above, I don't think this is a book I would pick up again. It did the job effectively, but it won't stay with me for too long and I didn't like or empathise with many of the characters. In a way, it is incredibly routine, with only the snowman angle lifting it out of the doldrums of mediocrity. I ordered this yesterday, looking forward to it even more now but may read it in the day! It's surprising how much bleak stuff comes out of Scandinavia. I struggled with The Girl with the Dragon Tattoo, and I'm not a big crime reader in the first place, so might skip over this one. I think I was expecting it to be more of a horror than a crime novel based on the title and the way the publisher has been marketing it.